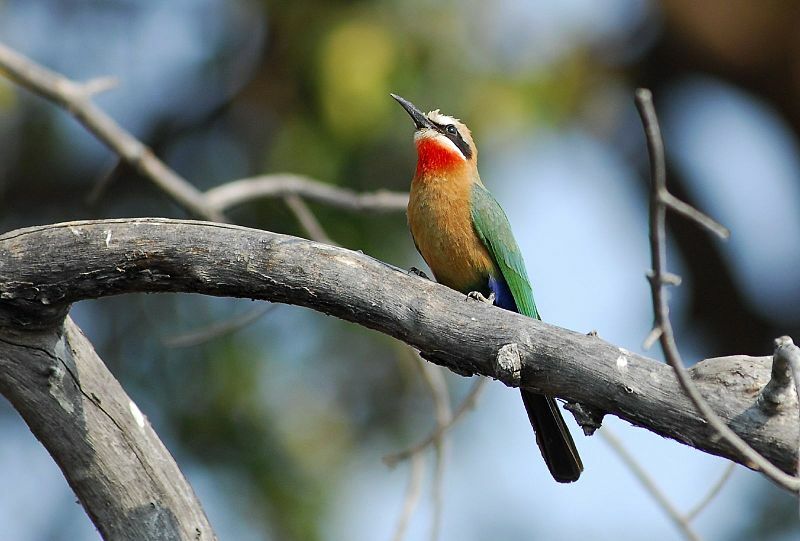 Okavango delta is home to 650 species of of birds, including the whte fronted bee eater. Photo source: Wikimedia Commons. The Okavango Delta is top on my list of must see places. For those of you who don’t know anything about Okavango, it is the worlds largest inland delta at 15 000 km2, and is located in the Kalahari Desert in Botswana. The water flowing into the Delta first falls in Angola, and travels through Namibia before reaching the delta, and forming an enormous wetland. The amazing thing about the delta is the seasonal flood from the Okavango River, which increases the delta to three times its usual area, and leads to a wildlife explosion. This usually occurs between the months of March and June, and is driven by summer rainfall in the Angola highlands. Eventually the floodwater is lost to transpiration (by plants), and evaporation, with a small amount percolating through the soil, and flowing into Lake Ngami. None of the water reaches the sea. The seasonal flood provides food for everyone... Photo source: Wikimedia Commons. 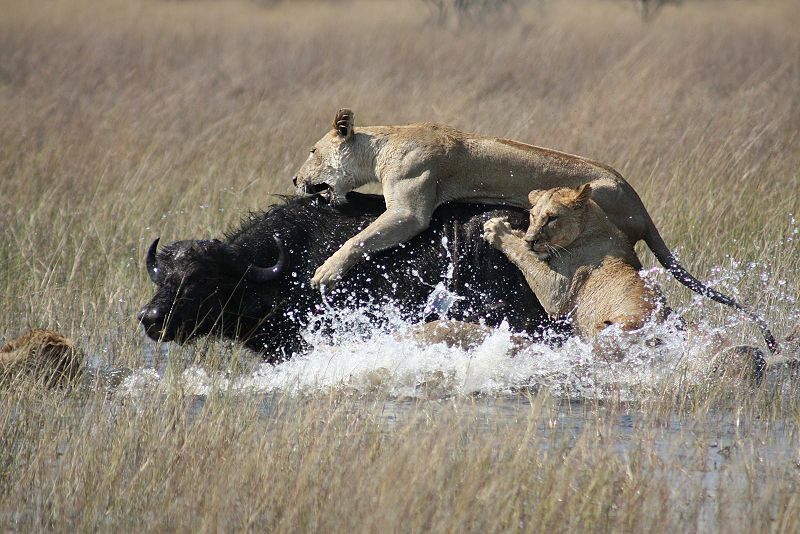 The Okavango comes alive with migratory animals when the river floods. An estimated 200,000 large mammals live seasonally in the delta, made up of 32 different species. These include the African bush elephant, African buffalo, hippopotamus, wildebeest, giraffe, Nile crocodile, lion, cheetah, leopard, hyenas, both black and white rhinoceros, zebras, warthogs, and the endangered African wild dog. Additionally, the Okavango delta is home to 71 fish species, including the 1.4 m Sharptooth catfish, and 650 species of bird. In 1994, Botswana, Angola and Namibia signed the OKACOM Agreement, which commits them to promote environmentally sustainable water resource developments, while addressing their national social and economic needs. Fortunately, the near pristine environment draws many eco tourists, with tourism being the second largest economic input for Botswana. These tourist dollars rely on the protection of the wetlands. Okavango delta is a RAMSAR site (a recognized wetland of international significance), and this has been ratified by both Namibia and Botswana. 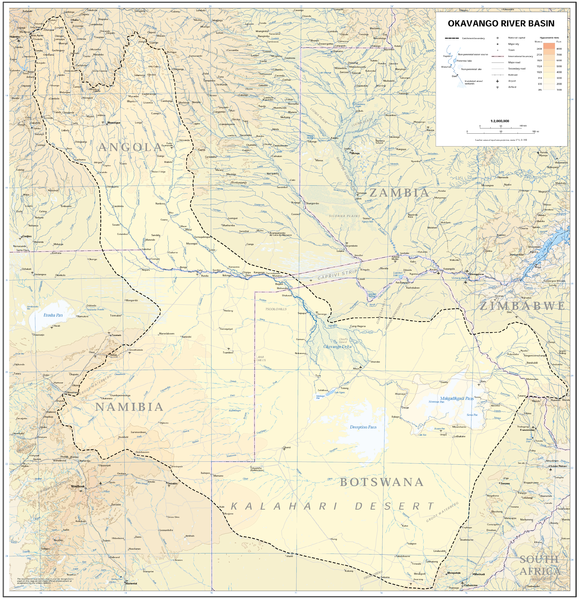 The Okavango basin covers three countries, Angola, Namibia, and Botswana. Other threats include the intrusion of fishing further into the Delta region, poaching, and as the National Geographic tells us, there are even suggestions of extracting oil from the underlying rock formations.